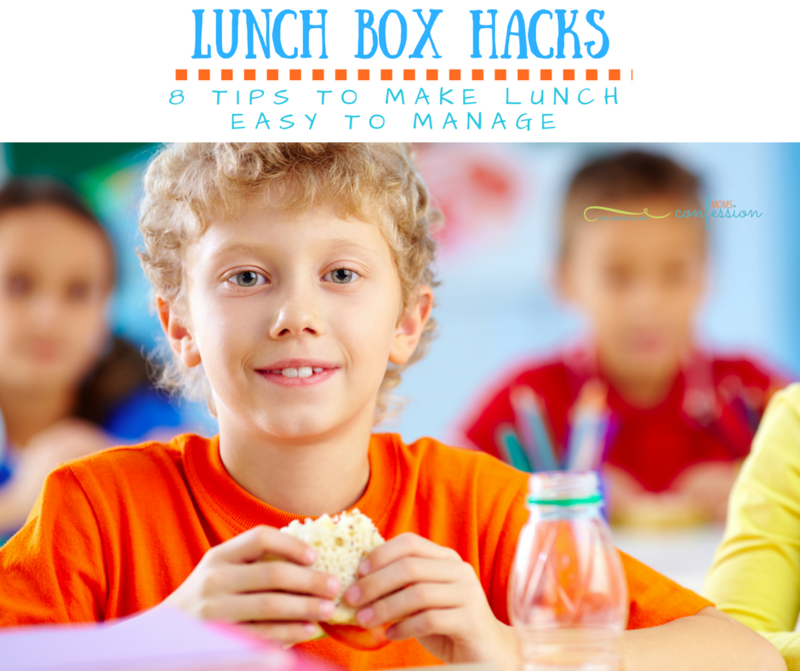 Lunch Box Hacks are needed in a family with kids going to school each day. This list of our favorite 8 Lunch Box Hacks For Busy Families is ideal for making the back to school routine easy to manage this year! Can you believe it is time to start thinking about back to school lunches? If the thought of packing lunches day after day has you feeling dizzy, there are some clever lunch box hacks you should know. 1. Freeze yogurt tubes for easy travel. Throw those yogurt tubes in the freezer and place them in the lunch box in the morning. Not only will the tube help keep your lunch cold but it will slowly thaw and be ready to eat come lunch time. Freezing the tubes also keeps them good longer! You can even make your own using larger pints of yogurt, fresh fruit, and these handy Plastic Yogurt Bags. 2. Use cookie cutters for creative sandwiches. This is a fun way to dress up sandwiches and make them more entertaining for kids. You can either make a sandwich and include a cookie cutter in their lunch, or you can cut the sandwich beforehand. Use shapes like stars and hearts, or even animals if you can find them. You can even grab a package of sandwich cutters in multiple shapes to keep on hand. 3. Freeze drink pouches to keep lunch cold. You can freeze drink pouches then add them to lunches to help keep the lunch cold. The pouch will act as a cooling agent but will slowly thaw and be ready by lunchtime. The soft drink pouches seem to work best for this. 4. Use plastic wrap to creatively keep cut fruit fresh. When you cut fruit whether it be an apple or an orange, assemble it back together so it is whole. Then wrap it in plastic wrap to keep all of the pieces together. This will keep the fruit fresh and prevent yellowing or drying. Then, kids can undo the plastic and let the pieces fall apart. I love using the press and seal type of plastic wrap as a great lunch box hacks idea! 5. Keep a notepad and pen by lunch bags for quick notes. Keep a notepad and pen right by the lunch supplies so you can quickly write a note each morning. This is a small effort that can really make the day of your child. 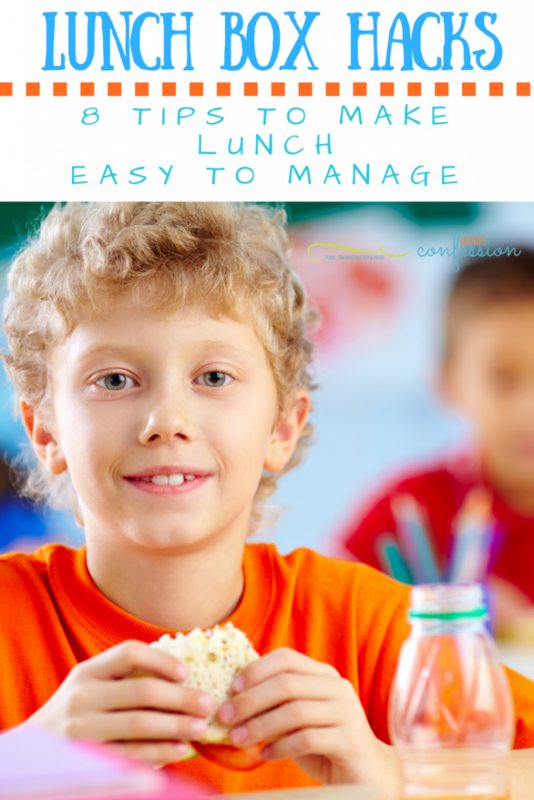 By keeping note supplies by the lunch supplies, you are more likely to give it a try. You can also grab a package of fun lunchbox notes to grab and drop into their bag if you prefer. We even have some printable Printable Lunchbox Notes you can print at home! 6. Get creative with wraps. Use flour tortillas to make wraps of all kinds. You can try ham and cheese wraps, Nutella and fruit, chicken salad, tuna salad, peanut butter, and banana wraps, or even try hummus and veggie wraps. 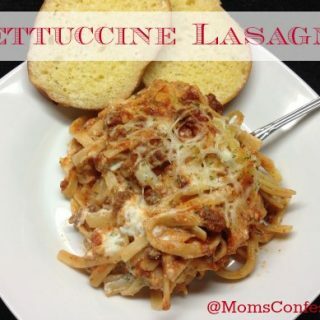 Try an assortment of ingredients and find combinations that work for you and your child. 7. Save restaurant single serve condiments. When you get carry out and receive single serve condiments be sure to save them. You can always pack ketchup, mustard, relish, salt, pepper, jelly, bbq sauce, dipping sauces, and other condiments in your child’s lunch for easy use. They will love using the single-serve packets and you will love how cost effective they are. 8. Get creative with leftovers. You can use dinner leftovers in all sorts of ways. Add steak and chicken to salads. Put soups and stews in a Thermos. Save ground beef for walking tacos or taco salad. You can also add leftover fruit to cottage cheese or leftover tortillas for all sorts of wraps. Get creative with what you have to make tasty and cost-effective lunches. Are you ready for back to school season? Give these lunch box hacks a try and see how fun and budget-friendly they can make lunch time for your kids!